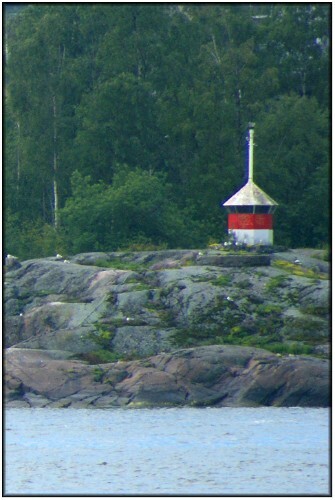 This is another typically "Nordic" beacon, in this case located on the island of Valkosaari (or Blekholmen to give it is Swedish name by which it is referred to in the National Geospatial-Intelligence Agency, Publication 116, List of Lights Radio Aids And Fog Signals). The presence of the unoccupied concrete plinth that is clearly visible in front of the lantern in the image above leads me to believe that, at some time in its history, this light has been repositioned, although I can't find any convincing evidence for this in any of my normal sources. 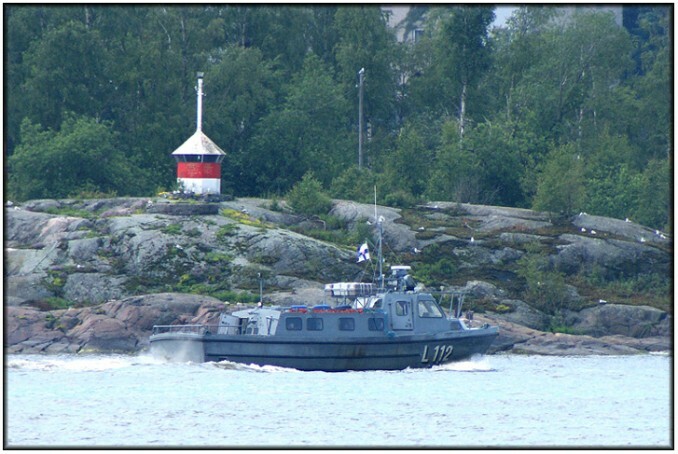 In the image below, which gives a wider view of the Finnish Navy's small transport vessel L112 can be seen passing the light heading for the inner harbour of Helsinki.